Many remotely piloted vehicles in use today demonstrate relatively little intelligence of its own. For a conventional fixed-wing aircraft including most UAVs, remote piloting is comparatively straightforward in some respects. Its flight path may have a known point of origin and a predetermined landing strip. 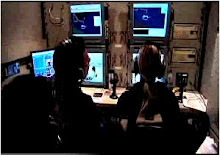 Any ambiguities that are encountered mid-air are handled by remote pilots who use their own reasoning abilities to direct the machine away from danger. For instance, the confusion that might arise when landing a machine like a helicopter in the middle of an unknown street (a la "Blackhawk Down") or on the top of a hospital building are minimized because a fixed-wing aircraft can't do that. A research team would like to change that scenario by creating smarter robocopters. In work sponsored by the Army Telemedicine and Advanced Technology Research Center, a collaboration is underway between Carnegie Mellon University roboticists and aeronautics specialists at Piasecki Aircraft and Boeing. The investigators explain some of the challenges they faced in determining -- in real time -- which landing sites would be suitable. Inference: Artificial intelligence will continue to co-evolve with autonomous flying machines. 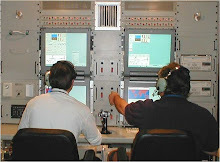 Some of the technology is being pursued by Near Earth Autonomy, founded by one of the co-authors. This story via IEEE Spectrum.